We are almost there! Just a few days and we will hit the line of the most beautiful and expected holiday ever. Christmas time is so enchanting and fascinating that there is hardly any person who would not be in love with this day. People of different nationalities and ages anticipate tons of laughter, inspiring fireworks, lovely gifts and flood of magic. This is the time of the year when all the offences and fights are put aside – and this itself brings a lot of magic. If you, for some reason, are not in a mood yet, there are some ways to create the Christmas atmosphere around you. The easiest one would be to fill up every day of the left ones with the holiday inspired items – and what brings us the most inspiration? Right, the newly purchased things! 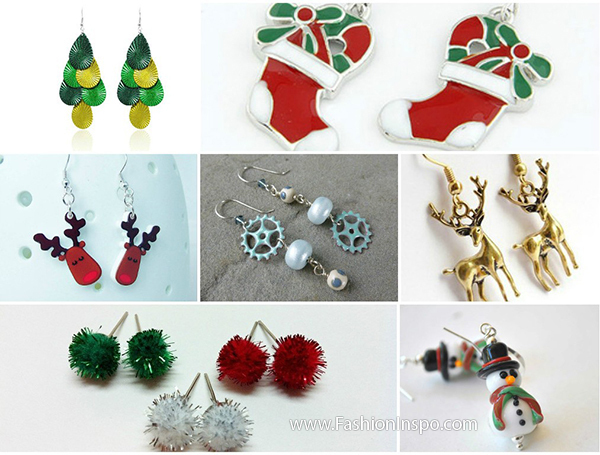 Below is a collection of the cutest and most alluring Christmas accessories that one can think of. 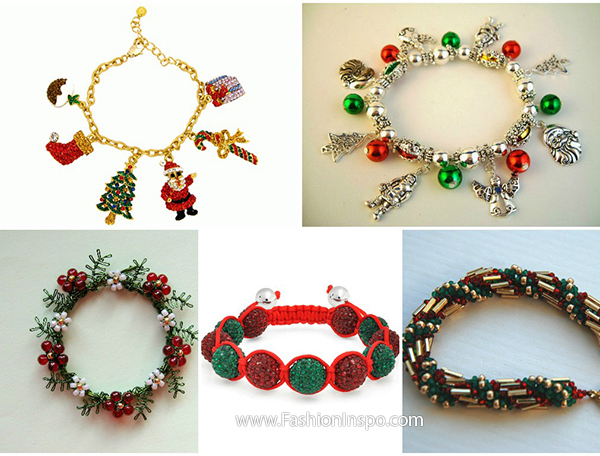 Get yourself a striking bracelet styled in a Christmas theme. Good thing that there are so many of them today – you won’t spend a lot of time looking for the most appropriate one. There is a chance to bump into something like this at one of Pandora stores or else opt for something less fancy and pricey. The only criteria here is the level of the piece’s relevance to the best holiday in the world. Hence, anything that features a Christmas tree, reindeer, Santa Claus, gift stocking or any other attribute will do good. 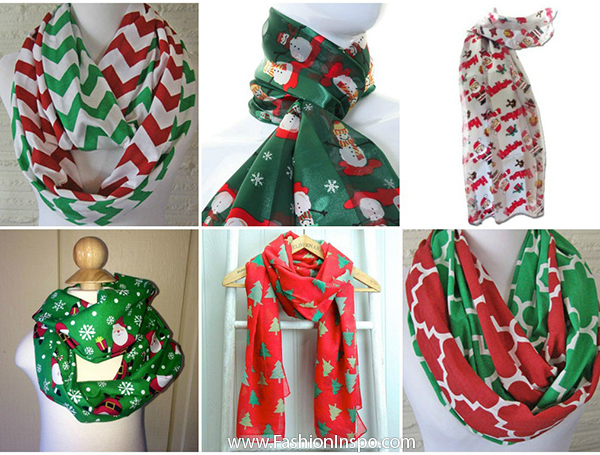 Also, you can go for a Christmas color palette: red and green have never looked so great together. Scarf is an essential of any cold season – regardless of the location. At Christmas time, it becomes an additional accessory, something that can spread the holiday vibe further out. Be it a zigzag striped piece in white, green and red or a more intricate and engaging one – featuring the Santa Claus print, you will definitely succeed in delivering some more joy and smiles to people around. Besides, it can complement any of your outfits and make the holiday looks more solid and appealing. An exquisite and stylish clutch is something that needs to be in a closet of every single lady. And trust me, here it is not only about quality – quantity does matter as well. The more you have, the easier it will be for you to create saucy and hot looks. Hence, it does make sense to purchase a handbag that would symbolize Christmas. You can easily go for a snowman shaped piece in white, red and green; or for a more elegant one – featuring a red reindeer against the white background. 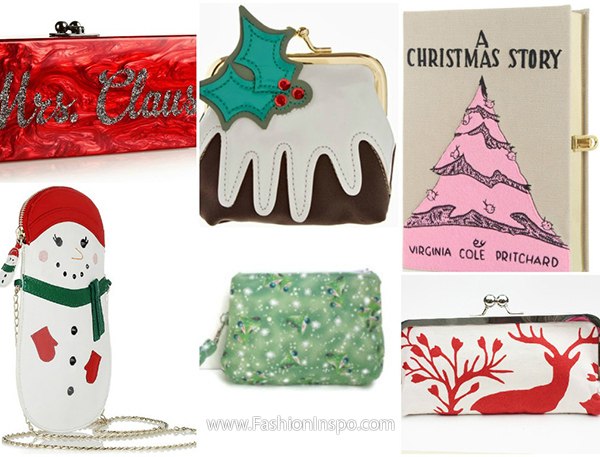 There is also room for a Christmas Story book-shaped minaudiere, the sparkling and embellished petite clutch in light green, rectangular red clutch with Mrs Claus slogan and a cute white and brown purse featuring a couple of Christmas trees on the top. What, if not a cool and funky pair of earrings, will add more cheer to your day? While anticipating the big holiday, you can make every minute before it more fun and shining. Cute gift stocking shaped earrings as well as the gold ones designed as Christmas reindeer will definitely match any of your outfits. In case you would still go for something less catchy, here is a perfect pair for you: these lovely raindrop pieces in several shades of green and shaped as a Christmas tree will speak to you a lot. Belts have proven to be a very important element of human’s closet. Not only do they manage to keep certain parts of our clothing on their place, but also they give a saucy and complete zest to the ensemble that we create. 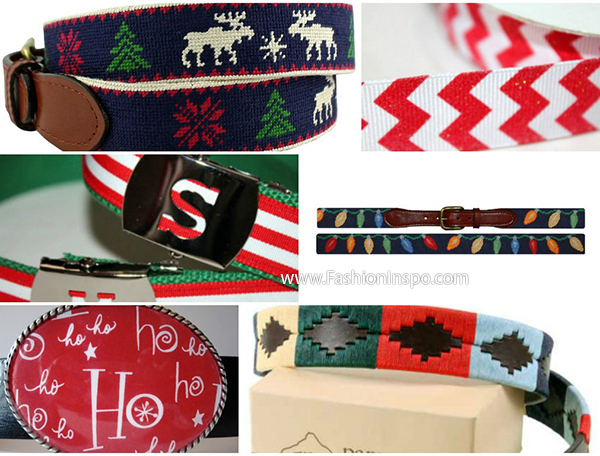 A cool belt with an engaging Christmas print will by all means add up to your collection and make your look more solid and cute. If you worry about its relevance during the rest of the year, be aware that there are many more occasions when you can rock such a piece – apart from the Christmas Eve. What a list of coolest accessories would it be without a range of necklaces? This type of jewelry was meant to make every single look more alluring and gorgeous. 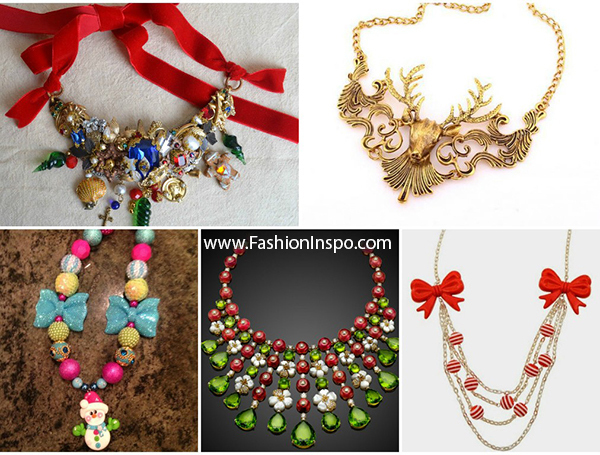 When it comes to a Christmas inspired necklace, its value doubles if not triples. You can choose a statement necklace in green and red beads or a more sophisticated one – shaped as a head of Christmas reindeer. Also, there is an adorable layered gold chain with red bows and striped plates, which stand for a common Christmas gift wrap. In other words, one has quite a number of options to go for, so there is no reason to stick to the boring and cliche accessories. There will be more to go, so keep up with our regular updates and stay on trend!